Dr. Gilbert had great information and answered all my questions thoroughly. That being said, he was condescending, correctedme on my grammar, and as the appointment progressed, I had to force myself to persevere in asking my questions despite feeling uncomfortable speaking with him. I do believe it was a satisfactory appointment in that my problem was attentively assessed and I got the information I was looking for but I would hesitate to return to Dr. Gilbert based on his patronizing bedside manner. Dr. Gilbert had great information and answered all my questions thoroughly. That being said, he was condescending, corrected me on my grammar, and as the appointment progressed,I had to force myself to persevere in asking my questions despite feeling uncomfortable speaking with him. I do believe it was a satisfactory appointment in that my problem was attentively assessed and I got the information I was looking for but I would hesitate to return to Dr. Gilbert based on his patronizing bedside manner. I was very pleased with the overall experience, I've had many surgeries at several different hospitals and never felt thiscomfortable. The staff & Dr. Gilbert were very helpful and made me feel so comfortable, would recommend anyone here! I was very pleased with the overall experience, I've had many surgeries at several different hospitals and never felt this comfortable. The staff & Dr. Gilbert were very helpful andmade me feel so comfortable, would recommend anyone here! Dr. Paul Gilbert is an Assistant Professor of Clinical Orthopaedic Surgery at the Keck School of Medicine School of USC. He specializes in hip and knee replacement and joint preservation. He has performed thousands of joint replacements over the past twenty years. Dr. Gilbert has pioneered computer navigation, minimally invasive techniques and advanced pain management programs. He has a fascination with the application of computer technology in surgery and the benefit of sophisticated instruments for procedural accuracy has led Dr. Gilbert to adopt robotic surgery for his partial knee replacements. This significant advance in orthorobotics allows for the successful implantation of single compartment knee replacements in appropriate cases. Dr. Gilbert has used computer navigation in over five hundred joint replacement procedures. Areas of current research capturing his attention are the use of tourniquets in knee replacement surgery and the success of partial knee replacements. Dr. Gilbert is board certified by the American Board of Orthopedic Surgeons and is a Fellow of the American Academy of Orthopaedic Surgeons. 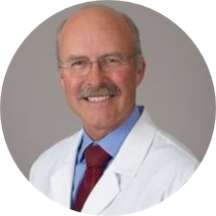 Dr. Gilbert earned his medical degree from the USC School of Medicine and went on to complete his internship and residency in orthopedic surgery at Los Angeles County + USC Medical Center. Wonderful - we like this guy!